Turkish cinema, of course, difficult to compare with Bollywood or Hollywood, but you can tell that he is developing dynamically. Turkey holds annual festivals: National in Antalya and International in Istanbul. The best time is the latest blockbuster "Wolf Valley - Iraq" (Kurtlar Vadisi: Irak, 2007), which attracted 4 million viewers. Many fan clubs and forums dedicated to Turkish cinema appear online. The audience enjoyed particular success TV series. The most popular and best Turkish TV series at the moment are the "Magnificent Century", "One Thousand and One Nights", "Falling Leaves", "Ezel", "Forbidden Love." I represent the top 40 most beautiful Turkish actresses, where I evaluated only appearance, photogenic. Among them you may meet tattooed women. You can also check out my ranking of the most beautiful Turkish singers and a bright pearl of Turkey - the legendary actress Turkan Soray. In addition, I offer guided tours of the Turkish TV series "The Magnificent Century" with a detailed description of the plot, casting actors, interesting facts, and the best shots from the series. 40. Berrak Tuzunatac (born November 2, 1984, Yalova, Turkey) - actress and model. She worked as the lead on TV, along with the modeling career took acting classes. Her movies: "Women Base", "Envy", "Way of the Dragon," "The sea palm", episode: "Ezel". 39. Sinem Kobal (born August 14, 1987, Istanbul, Turkey) - actress and television personality, also took part in many advertising campaigns. Her movies: "School", "Son of man who saved the world", "Stay on your feet", "Romantic Comedy" series: "Hürrem Sultan", "Selena", "Little Secrets." 38. Ahu Türkpençe (born 2 January 1977, Istanbul, Turkey) - turkish actress. Series: "The seven neighbors," "Glory," Movies: "Beached Sea," "Club losers". 37. Saadet Isıl Aksoy (born August 29, 1983, Istanbul, Turkey) - turkish actress. Turkish TV series "The Magnificent Century" brought her fame in the world. Other movies with her participation: "Eggs", "Beautiful Life", "Milk", "Eastern Plays", "Love in other languages." 36. Tugba Melis (born September 7, 1990, Sofia) - actress and model. At 21, won the national contest "Best Model of Turkey - 2011." Took second place in the competition "Best Model of the World". Her movies, "Hell", "Inferno 3D", "Kolpachino 2: The Bomb." 35. Eda Ozerkan (born March 11, 1984, Istanbul, Turkey) - Actress and model. Her movies: "Leopards: Operation Cherry", episode: "The Edge of Love." 34. Asli Tandogan (born 2 April 1979, Ankara, Turkey) - actress. Series: "Love and Hate", "Tiger", "From the lips to the heart," "Behzat: serial crimes in Ankara," a film: "Honour". 33. Ceren Hindistan (born February 27, 1989, Ankara, Turkey) - Turkish actress, finalist of "Miss Turkey 2007", series of her participation: "Family Home", "The Hidden Life". 32. Cagla Kubat (born 16 November 1979) - Actress, model, windsurfer. She was the first runner-up at "Miss Turkey 2002" and represented Turkey at the "Miss Universe 2002". She starred in two successful television series, "Blind Room" and "The North Wind". Included in my top most beautiful female athletes of the world. 31. Aslihan Gurbuz (born February 16, 1983, Chanakkala, Turkey) - actress. TV series: "I - cloud," others are not translated. 30. Mine Tugay (born July 28, 1978, Istanbul, Turkey) - Turkish actress. Appear in advertisements on Turkish TV, in the theater. In 2006, starred in the popular Turkish TV series "Gyulpare" and "What's with my father." She won short film festival "Sinepark" for Best Actress in the film "Cat on the road" and the prize of the theater festival "Afife Jale" in the nomination "The most successful actress" - 2009. Other movies with her participation: "Love knows no age", "Alia", "Name" Love "," Classroom "," Enemy in the Mirror "," Captain Fez ", etc. 29. Ceyda Duvenci (born April 16, 1977, Istanbul, Turkey) - actress. At "Miss Turkey" in 1997, finished third. Soaps with her participation: "A Thousand and One Nights," "Craving", The "Way of the Dragon." 28. Nur Aysan (Fettahoğlu) (born 12 December 1980, Duisburg, Germany) - actress and presenter. Nur has gained popularity in the acclaimed series "The Edge of Love," in which she played the role Peyker. She later starred in the movie "Valley of the Wolves: Palestine". 27. Hulya Avsar (born 1963, Istanbul, Turkey) - a famous Turkish actress and singer of Kurdish origin. In 1983 she made her debut as an actress in the film "Prohibition". In 1993 he was the "best actress" of the Moscow Film Festival. For all the time appeared in over 70 movies, which performed the leading roles. Her movies: "The 72nd House." 26. Aydan Sener (born March 1, 1963, Killis, Gaziantep, Turkey) - Turkish model and actress of Tatar origin. At age 18, won the beauty contest "Miss Turkey" and represented her country at the "Miss World" in 1981. After receiving the title of "Miss Turkey" it has been successfully introduced herself in modeling. Best known for the role in the TV series Feride "Wren - a singing bird", her other films: "Milky Way", "Branded Rose", "The Two Faces of Istanbul" and many others. 25. Hazal Kaya (born October 10, 1990, Istanbul, Istanbul, Turkey) - actress. Her movies: "Behzat: serial crimes in Ankara", "I can not sleep when coming month" series: "Genco", "Forbidden Love." 24. Sevtap Ozaltun (born December 9, 1984, Artvin) - Turkish actress. Series: "Dear Family," "What is the fault Fatmagyul." 23. Hande Soral (born February 2, 1987, Istanbul, Turkey) - Turkish actress. TV Series: "Kucuk kadinlar (Little Women)," Bir Gunah Gibi "(A sin). 22. Cansu Dere (born October 24, 1980, Ankara, Turkey) - Turkish actress, member of beauty pageants and model. Series: "Ezel", "sends the" "The Last Ataman: Yandim Ali," "Bitter Love", "Behzat: I buried my heart", "Handwriting". 21. Beren Saat (born February 26, 1984, Ankara, Turkey) - actress. Victory in one of the actor's competition, in which she often participated, brought her debut role in the series. Her movies: "The Pain of Autumn", "Wings in the Night", "Rhinos Season" series: "Love and Hate", "The Edge of Love," "What is the fault Famagyul." 20. Pelin Batu (born December 27, 1978, Ankara, Turkey) - Turkish actress, her father - a Turk, and her mother - Albanian. In school, Pelin showed great musical and dramatic talent. Since 1999 he appeared in films. Film debut - Circassian concubine Brown in the film by Italian director Ferzan Otspeteka Turkish origin "The Last Harem / Harem Suare". Since 2008, the Turkish TV channel "Haberturk" Pelin host of "Kısa Devre". Her other films: "Now he's a soldier," "Leopards: Operation Cherry". 19. Nehir Erdogan (born June 16, 1980, Izmir, Turkey) - Turkish actress. In 2005, it glorified the main role in the series "foreigner-in-law" simultaneously in two countries: Greece and Turkey, to learn about the problems and prejudices of intercultural marriages between Greek and Turk. Her movies: "School," "Outrageous Class"; Series: "The Foreign Groom" ("foreigner-in-law"), "Love is a dream." 18. Emina Jahović Sandal (born January 15, 1982) - Bosnian Muslim pop singer of Serbian origin, a Turkish actress. Married to Turkish singer Mustafa sandal. She starred in the TV series "Time of tulips." 17. Selin Demiratar (born March 20, 1983, Istanbul, Turkey) - actress. In 1999 he won a beauty contest "Miss Globe Turkey", and also took 3rd place in the contest "Miss Globe World". After moving to Istanbul pursue an acting career. Her movies: "This woman, series:" 90-60-90 "," The pain of life "," Ghazi ". 16. Nurgul Yesilcay (born March 26, 1976, Afyon, Turkey) - actress. Movies: "Pseudo-point", "Tell me Istanbul", "Train of Adam," "The Edge of Heaven", "Conscience" series: "Second Spring", "90-60-90", "Love and Punishment" . 15. Birce Akalay (born June 19, 1984, Istanbul, Turkey) - Turkish actress. Her movies: "The Last Lesson", "I love you all", "Breath: Long Live the Motherland", the TV series, "Between Heaven and Earth." 14. Selen Soyder (born December 26, 1986, Izmir) - Turkish actress and model, "Miss Turkey 2007". In 2006 won the "Miss Model of Turkey," with the title of "Best Model". Also took part in the "Miss Bikini Universe," which was held in China. She entered the top five and won the prize for best national costume. Starred in various commercials and music videos. In 2010, took the lead role in the TV series Toprak "Between Heaven and Earth", and later that year starred in the TV series "Tulip Time". 13. Ezgi Eyuboglu (born October 28, 1988, Trabzon, Turkey) - Turkish actress. She graduated from the State Conservatory and graduated from school of classical ballet. In 2001 he finished third in the competition Elite Model Look, two years later took part in the "Miss Turkey 2003", which came second. Pursue modeling since 2007, participating in fashion shows. She starred in various music videos. In 2012 took part in the TV series "The Magnificent Century", performing the role of freedom-and Shrew Aybige Khatun. Previously co-starred in the TV series: "Go to the fire," the "Holy Bottle 3: Dracula," "My heart has chosen you." 12. Hande Ataizi (born September 2, 1973, Istanbul, Turkey) - Turkish model and actress. The film "Crazy School." 11. Ezgi Asaroglu (born June 18, 1987, Izmir, Turkey) - film and television actress. In the TV series, which starred Ezgi were quite successful and popular with the viewers. In 2005, she appeared in a short film, "What I enjoy doing in the mountains? ", which won awards at film festivals around the world. Her real film career began in 2008, the tragicomic drama about refugees "For a Moment, Freedom" ("At the moment, freedom"), who became the winner of independent film. The film won 29 international awards and was nominated for an Oscar in the category "Best Foreign Film". She starred in the TV series "The Magnificent Century", where she played the daughter of a grown daughter and Hürrem Suleiman. 10. Melike Ipek Yalova (born 1984, Ankara, Turkey) - a model, a Turkish actress who became world famous for her role as Isabella in the series "The Magnificent Century". 9. Songul Oden (born February 17, 1981, Diyarbakir, Turkey) - Turkish actress. Her name is translated into written language means "The Last Rose", so it is often called the "Rose of Turkey" for the beauty, gentleness and refinement. It has been repeatedly awarded as best actress. Soaps with her participation: "The Will", "Silver", "Give me the soul," films "Bitter Love," "72nd camera." 8. 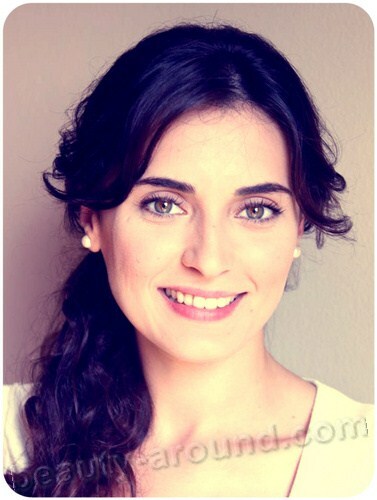 Gülcan Aslan (born May 1, 1986, Istanbul, Turkey) - Turkish actress, acted in commercials and TV shows. Her first starring role in the series "In spite of all" (Herşeye Rağmen). Also appeared: "Sardunya Sokak" (Street geranium), "Gurbet Kuşları" (Bird-in-exile), "Kahramanlar" (Heroes). 7. Seda Guven (born June 11, 1984, Izmir, Turkey) - Turkish actress, model. Series: "I can not say good-bye," "What is the fault Fatmagyul." 6. Yasemin Ergene (born January 22, 1985, Hamburg, Germany) - Turkish-German actress and model. Movies: "The war Hirzisa" (Stop, thief! ), "Tuuba Vizontele" TV series "Doc" (Doctors). 5. Sedef Avci (born January 22, 1982, Istanbul, Turkey) - model and actress. In 1997 he won the Turkish Competition Elite Look Model. Represent Turkey at the "Miss Universe - 2001". Her movies: "Do not be afraid of life," "Romantic Comedy" series: "Falling Leaves," "Menekshe and Khalil", "Ezel". 4. Fahriye Evcen (born June 4, 1986, Solingen, Germany) - Turkish-German actress, her mother - a Circassian. When she was 19, she moved with her mother on a vacation to Istanbul, where she received an offer to play in the series. Fakhro called "Eastern Monica Bellucci." Part in the TV series "Falling Leaves" has brought her not only popular, but also opened the way for her to feature films. She starred in the psychological drama "Paradise," where she played a mentally ill girl and the romantic comedy "Love eclipse", playing eccentric lady. 3. Berguzar Korel (born September 2, 1982) - actress. At school, she has played many roles in short films. The first role in the series was played in 1998 under the title "Broken Life", then followed by the movie "Valley of the Wolves: Iraq," where she played Leila. But popularity brought her series "A Thousand and One Nights." Other series: "olive branch", "The Game of Love." There was a bit part in the Italian princess series "Magnificent Century", where the main role was her husband - Halit Ergenc. 2. Tuba Buyukustun (born July 5, 1982, Istanbul, Turkey) - actress. Starred in advertising products cosmetic companies. Fame came after starring in the television series "Sultan Makamin." Her other series and films: "Asi", "favorite", "Ask your heart," "under the saw," "Gyulizar," "Under the shadow of lime." 1. 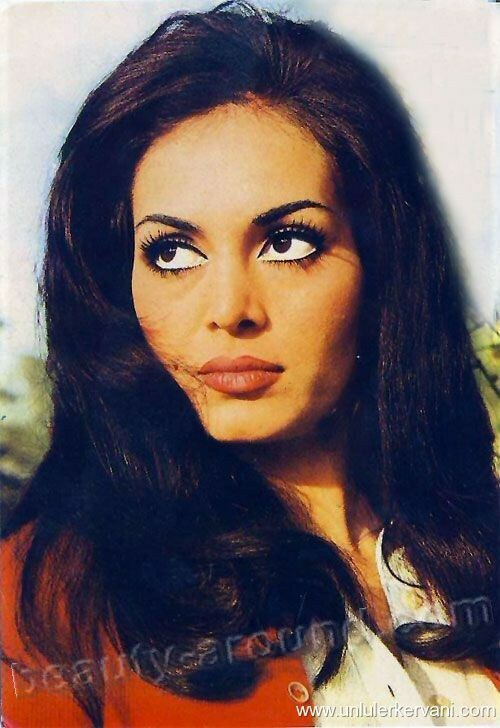 Turkan Soray (born June 28, 1945, Istanbul, Turkey) -turkish actress. Played about 200 roles in the movie, was one of the leading actresses of Turkey. In the Soviet Union became known after the Soviet-Turkish film "My Love, My Sorrow", as well as the Turkish film "My poplar in a red scarf." Other movies with her participation: "Wren - a singing bird", "Weeping Angel", "The Return," "Debt of Honor", "violence", "sister-Sultan", "Misery" and many others.